Jiu-jitsu.News: Strength is not the main thing in the struggle to win! Fighter with weight in 65 kg wins his opponent whose weight is 100 kg! It’s hard to imagine for those ones who aren`t familiar with Brazilin Jiu-Jitsu! But it’s quite realistic! Seeing two fighters one of whom is little and thin and other looks like a rock in most cases audience will bank on the win of a large statute fighter. And they will be wrong. 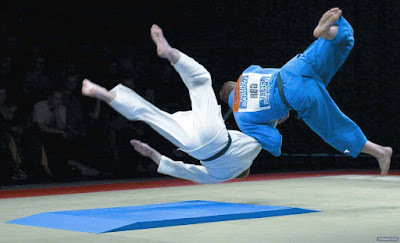 Brazilian Jiu-Jitsu is a unique kind of fight because in this type of sport weaker fighter can win bigger opponent. The secret is that strength isn’t the main thing in this kind of sport. But you can ask what is the main thing in catch-style if the force isn`t important?! It doesn’t matter how many kilograms you are in weight and how strong your muscles are pumped! Techniques which is based on dynamism, timing and agility are the keys to success in jiu-jitsu. And fighters prove this fact again and again competing for winning medal.